Jay Cashmere says, "One of the things I love about this area, and I love to see, is the beach and the palm trees. And the area that we live in; there is such a quality of life here. For my family, it's at the heart of what we do every day we incorporate fitness into it." "We all work out, the kids love to bike and run, we have a fabulous time together. We make fitness a daily part of our lives. We love the beach and swimming," says Jay's wife, Kelly. Jay touts, "We just absolutely love it. There is something about the beach that draws you in; it's home for us. People come here to vacation, and we live here, and that's what makes it so great. Jay decided he wanted to push himself athletically. 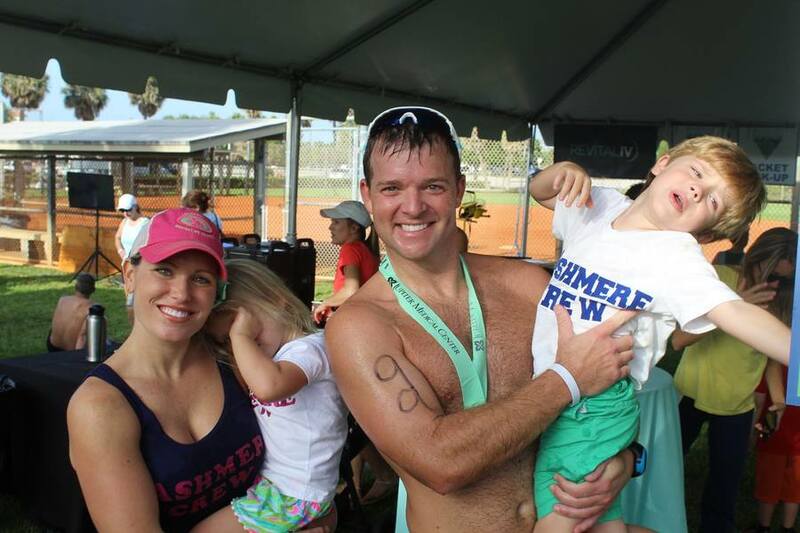 He started training along Juno and Jupiter beaches preparing for the Loggerhead Triathlon put on by the Palm Beach North Chamber of Commerce. His 2-hour a day training schedule was rigorous. Balancing two kids, a full-time job, and training two hours a day didn't leave much time for anything else. "He doesn't sleep. That's actually the truth," Kelly laughs. Jay says it's not about winning the race it's just about improving his time. At the triathlon today Jay said he was about a minute off during the running portion of the contest, but hoped he made up for it in the swimming and biking legs. It turns out; he beat his personal best time of 1:17:00 by almost 3 minutes as he came in at 1:14:02. Congrats Jay from all of us here at WPTV.